Here are the materials referenced in the Facebook Live Video from February 3, 2019. Scroll down for the video replay! Here are the materials referenced in the Facebook Live Video from February 3, 2019. 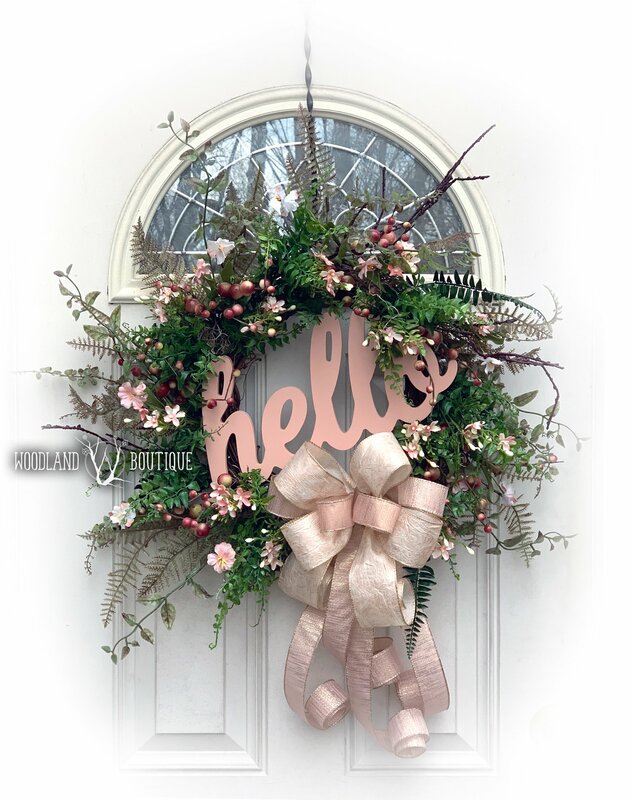 We made a stunning “hello” floral wreath featuring our premium Raspberry Sorbet garland, greenery, and some adorable filler flowers on a 14″ wreath base (don’t let that small wreath base fool you, the finished product measures in at around 24″ across). The sign was purchased from Joann’s last year, but you can find similar (unpainted) ones at hobby lobby.